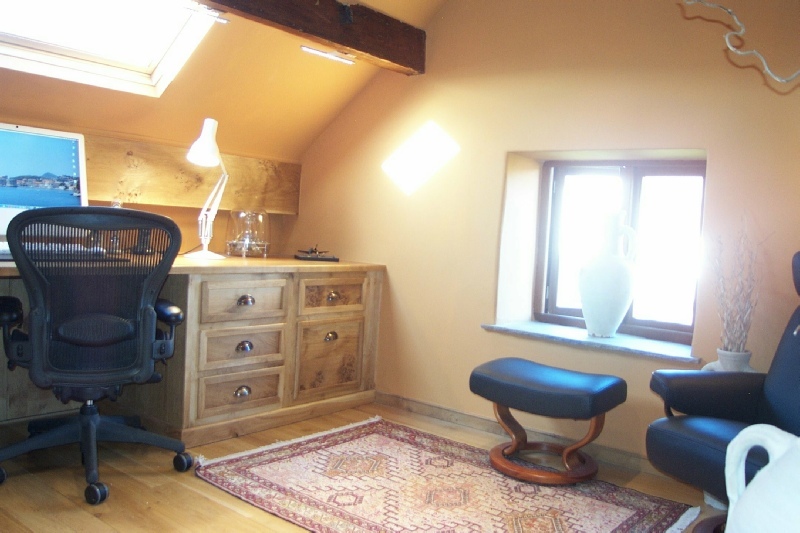 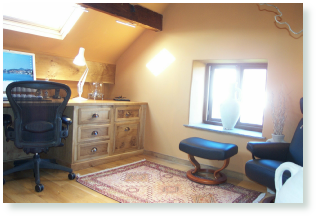 Characteristic Pippy Oak was chosen for this attic conversion. 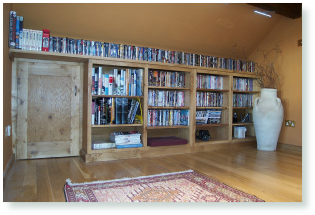 All the timber was selected personally by Glyn to ensure the highest quality, highlighting the typical ‘cat’s paws’ feature of the wood. 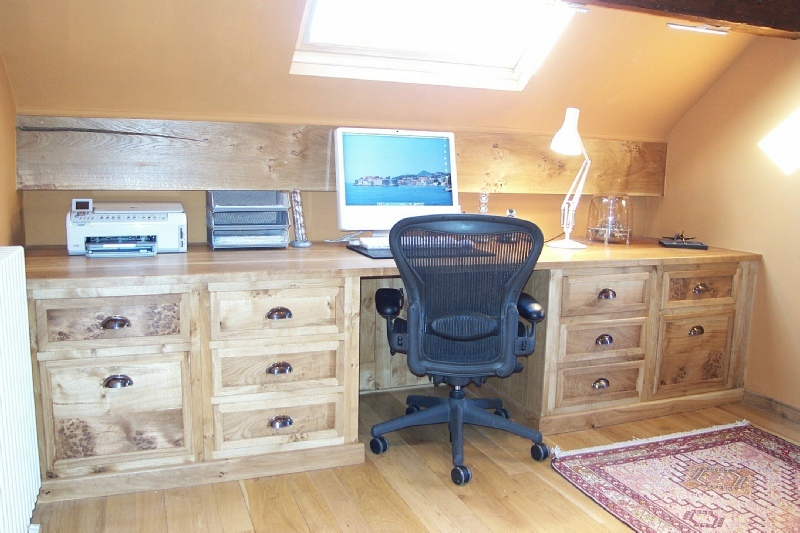 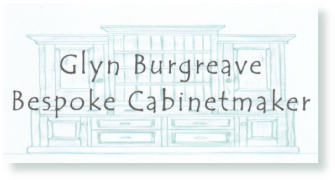 Much thought and care was taken to make the desk symmetrical, not only by the amount of drawers but also using the same areas of wood to mirror them. 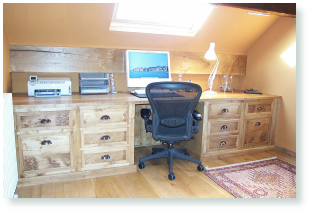 Electric and telephone cables are hidden behind the desk and down-lights are hidden behind the main beam at the back of the desk. 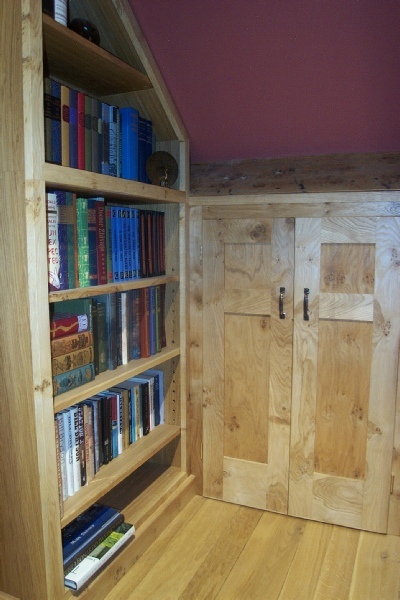 Doors have been placed underneath the desk and at one end of the shelves wall for easy access to storage within the eaves. 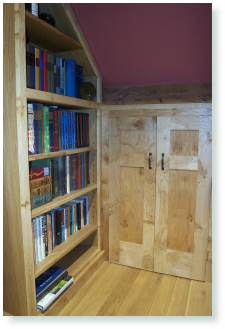 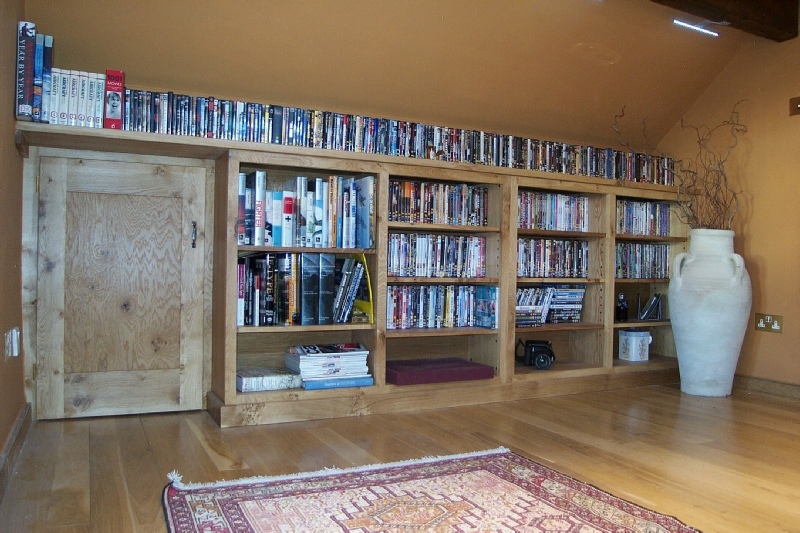 Utilising as much space as possible, a large bookcase was purpose-made for the top of the stairs, together with doors leading into the roof space.